Children are naturally inspired by the simplicity of soft granular sand. It's a boundless medium. Watch as they will dig, pile, sift, compact and more. Sandtastik® Sparkling White Play Sand provides tactile and sensory stimulation necessary for the development of a child's imagination, hand-eye coordination, and fine motor skills such as shoulder stability, forearm rotation, wrist control, and hand strength. Play sand also encourages creativity, visualization and social interaction. Sandtastik White Play Sand Indoor play sand in sparkling white for sand tables and art projects. Molds readily when damp. Non-toxic.Features: Safe for kids sandbox, Soft texture, clean white color, Compacts & molds when wet, Naturally ocurring sparkle, Minimal fine particle content (dust). 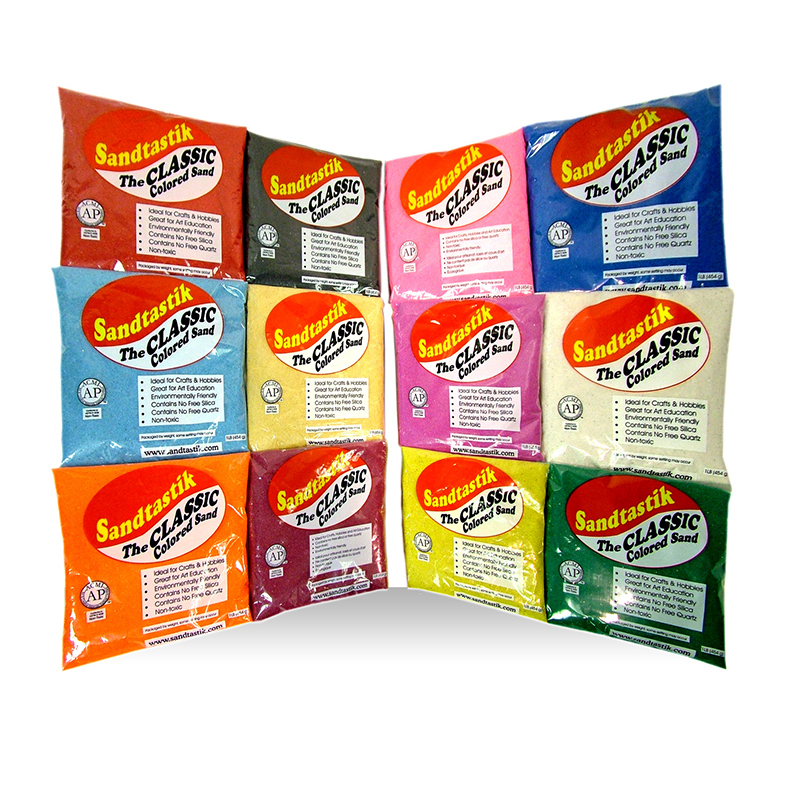 Contains: No silica, no quartz, no asbestos - all types, no wheat or gluten no nuts or seeds - all types. Made from: Feldspar rock. Safety: ACMI 'Approved Product' Seal, ASTM D4236 Compliance, Exceeds all CPSIA standards. Proposition 65 Compliance. Bundle of 2 Play Sand Boxes. 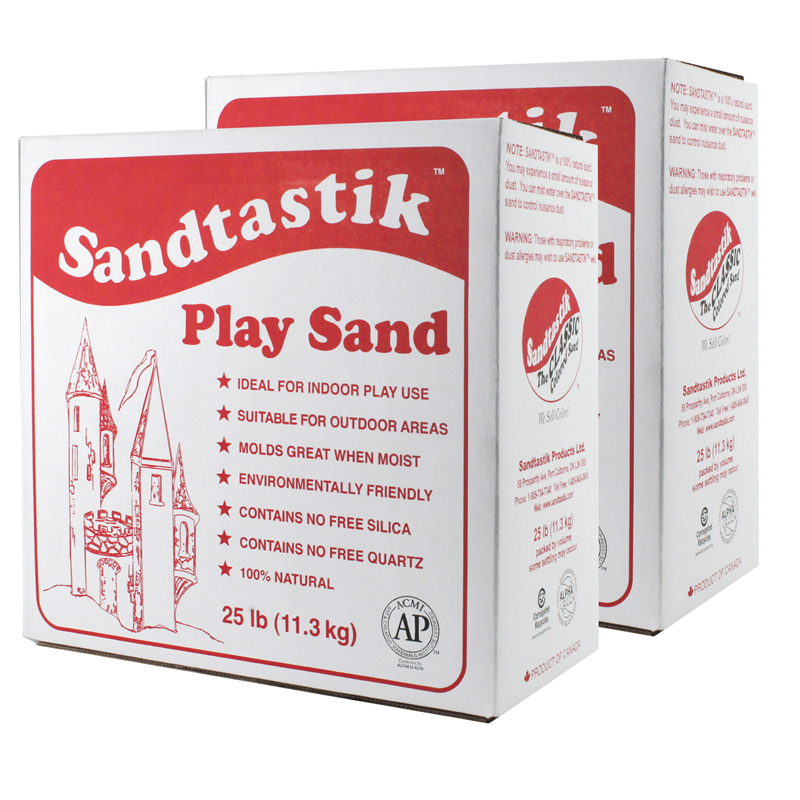 The (2 Ea) Sandtastik White Play Sand25lb Box can be found in our Sand product category within the Arts & Crafts.